The interface between our lower eyelids and upper cheek is referred to as the tear trough area. Tear trough hollowing is one of the earliest ageing changes and often is a constitutional feature present from adolescence. As we get older, this area alters in appearance, by becoming hollower, darker, deeper and less revitalised. These depressions can make the eyes look somewhat sunken and create unattractive dark shadows, giving the appearance of tiredness, exhaustion and old age. Tear trough filler treatment is a popular solution for tackling tired looking eyes. It involves carefully injecting a gel-like substance into specific areas around the eyes, with the objective of softening deep wrinkles and lines. It can also be used to add volume to other areas of the face, like the lips, brows, cheeks, marionette lines and nasolabial folds, creating a more youthful appearance. 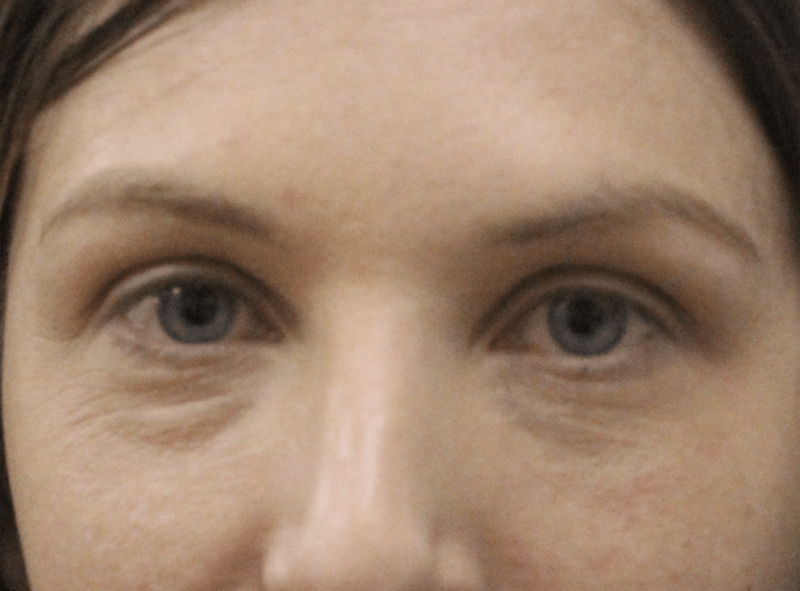 Filler can also be placed throughout the face with strategic BoNT to create a ‘liquid facelift’ or ‘liquid eye lift’ which can be highly effective in selective patients. We are often asked which filler is used. Mr Ezra uses several different fillers for different areas of the face, each specialised for a particular anatomical area There are a wide array of different filler preparations which are currently available on the market and Mr. Ezra will advise you on which will provide the best aesthetic solution for you. Mr. Ezra only uses filler preparations that are dissolvable, if required, and have a demonstrated safety track record and never uses any of the preparations that are most associated with complications. Why undergo Tear Trough Filler treatment? 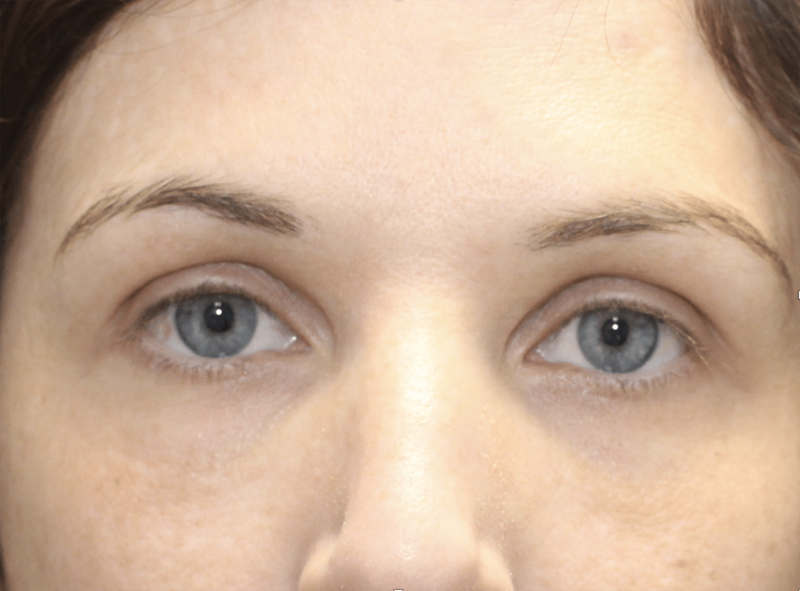 Fillers are a very effective option for patients with tear trough hollows and under-eye bags. Filler injections help to normalise facial contouring around the lid-cheek junction and avoids the need for surgery. Tear trough fillers are an increasingly popular non-surgical aesthetic treatment amongst younger people, though individuals of any age can undergo the procedure if they seek a fresher, more rejuvenated look and a break from tired looking eyes by restoring volume loss. During initial consultation Daniel Ezra will go through your medical history and provide a detailed examination of the eyes and face. There will be a discussion of what you wish to achieve from the treatment and also the risks and benefits to allow you to reach an informed decision. If it is determined that tear trough filler is the right treatment is right for you, the filler injection will be applied. You should avoid drinking alcohol for 24 hours before the treatment, whilst aspirin should not be taken for 7 days and Ibuprofen for two days. Again, this will be discussed with you prior to the treatment. Tear trough fillers are a non-surgical, minimally invasive treatment for ageing eyes. It involves injecting the tear trough area with hyaluronic acid gel, which works to replace the lost volume brought about through the ageing process. It also hydrates, softens and rejuvenates the skin, creating a more youthful appearance. The treatment only takes around 30 minutes, though many patients also opt to undergo other procedures with their fillers, such as facial surgery. You may wish to have additional treatments such as a ‘liquid eye lift’, or a ‘liquid facelift’. Dr Ezra will discuss with you the best treatment plan during your initial consultation. The effect is noticeable immediately but the final result is usually visible at around two weeks. This is because the skin needs time to relax, smooth and allow the fillers to integrate properly with the surrounding tissue, achieving optimum hydration balance. As this is a minimally invasive procedure, most patients find that it is a lot less daunting than they first anticipated. A topical anaesthetic numbing cream will often be applied to the area before injecting the skin, thereby reducing the discomfort. All staff at the Daniel Ezra clinic are medically trained professionals and will ensure a patient feels are comfortable as possible when undergoing facial fillers. Recovery is usually rapid and treatment results are normally visible right away. Regular activities can resume immediately, with many patients going back to work on the same day. However, there may be some slight bruising or swelling for the first couple of days. To reduce swelling, patients can gently apply a cold compress to the area every few hours so that heat and steam hits the face. An Arnica cream can also be generally applied to the tear trough area before bed, helping to reduce bruising overnight. Patients should resist touching the area for at least six hours following the filler treatment. After this time they can gently wash the area with water and soap. Patients should avoid using make-up or other skincare products for at least the first four hours following the treatment. They should also avoid exercise and alcohol for two days, and are advised to stay out of extreme heat (e.g. saunas, sun beds, tanning) or coldness for two weeks. Unfortunately, the treatment is not a permanent solution, since the filler will gradually break down over time. There are several different factors which can contribute to the quicker break down of the filler results, including poor diet, smoking and lack of exercise. Patients will need to come back to the clinic for repeat fillers in order to retain their youthful, fresh appearance. Normally this will be about every 1-2 years, depending on the individual, although some patients will retain fillers for many years. You are advised to come back to the clinic for a check-up and to review your progress. People who are pregnant or breast feeding will not be able to undergo facial fillers. Likewise, people with known allergies or hypersensitivity to fillers or similar medical substances will be turned away Risks are very rare and normally the only side effect is the bruising or swelling of the skin, which is mild and subsides quickly. Dr Ezra will go through all potential risks with you prior to treatment. Undergoing any cosmetic procedure may seem daunting, but tear trough fillers are very well tolerated with a low risk profile. It is important to understand that the tear trough area in particular requires a highly skilled practitioner. The tissues are much thinner than in any other areas of the face and are much less forgiving. In addition, the proximity to the eye means that you are advised to use an oculoplastic surgeon for these treatments. Provided you seek treatment from only appropriately medically experienced cosmetic practitioners, you are in very safe hands. Mr Ezra also offers a range of extended treatments. These include the ‘liquid eye-lift’ and ‘liquid face lift’. These treatments involve the placement of filler and injectables to a variety of critical locations around the eye, temple, brow and cheek to create a softened, natural and more youthful look. This treatment also includes aftercare products which are highly specialised to the periocular area to enhance skin quality. The Liquid facelift extends this principle to the lower face to lift and soften the jowl area, chin, corners of the mouth and neck. Mr Ezra also specialises in the management of filler complications. Tear trough filler complications are usually due to the wrong type of filler being injected into this area. Unfortunately, most practitioners are still using highly cohesive fillers which are more prone to granuloma formation and chronic swelling. The management of skin and vision complications in this area are highly specialised and should only be performed by an expert in the field. We are also seeing a significant rise in complications caused by poorly applied filler dissolving injections which harm native connective tissues. 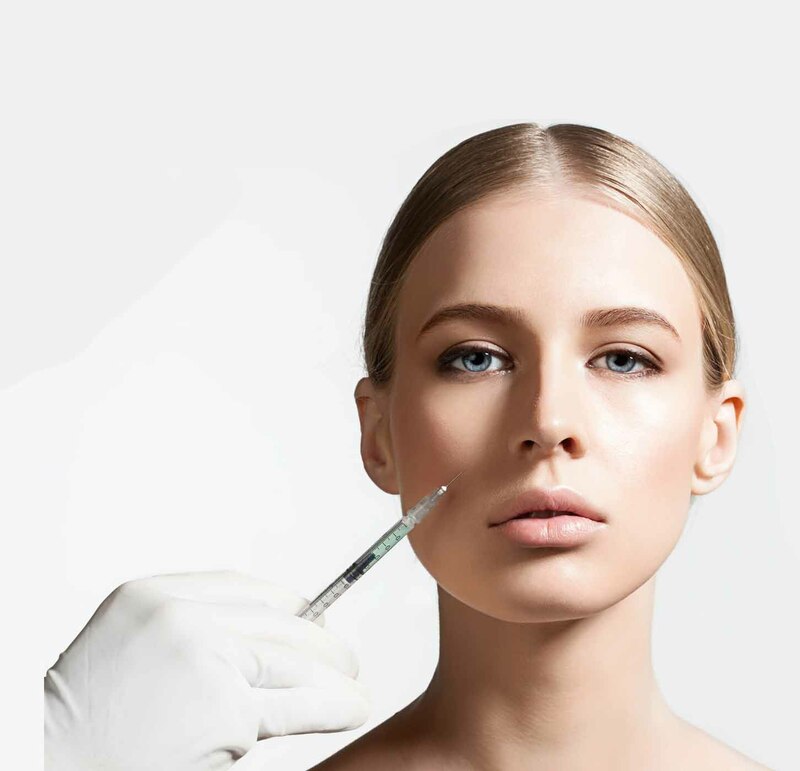 The management of filler complications is varied and includes a variety of treatment modalities, including antibiotics, steroid injections, hyaluronidase therapy and sometimes surgery. If you are experiencing filler complications, they should be dealt with as a matter of urgency and chronicity can lead to more severe and irreversible complications. To see Mr Ezra’s article on the Aesthetics Journal on the management of complications, please click here.